In a large mixing bowl, cream brown sugar, butter, egg, milk, vanilla, salt and baking soda. 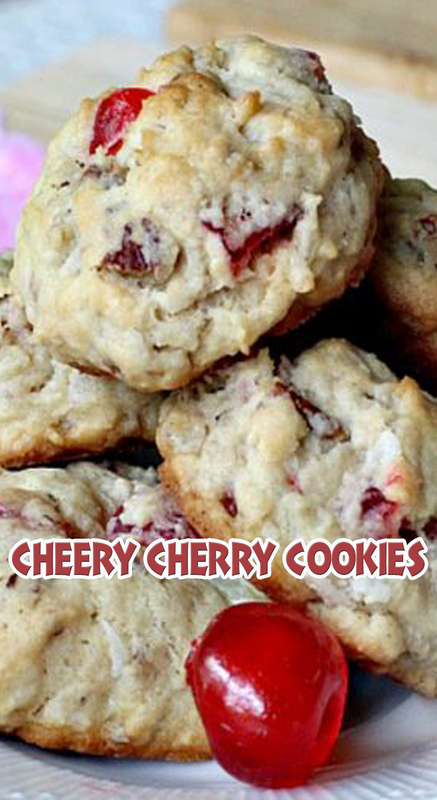 Fold in flour, cherries, pecans and coconut with a wooden spoon. Roll mixture into balls and place onto baking sheets sprayed with cooking spray. (I kept my hands moist while rolling). Bake at 375° for 10-12 minutes or until golden brown.